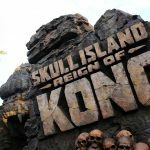 Home Universal Orlando Islands of Adventure Skull Island: Reign of Kong is Officially Now Open! After almost a month since it opened for technical rehearsals, Skull Island: Reign of Kong has officially opened at Islands of Adventure. 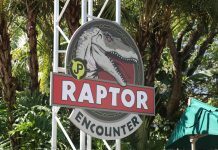 The new ride transports guests deep into a mysterious world, where their mission is to discover creatures of unknown origin with the 8th Wonder Expedition Company, the research team leading the excursion. After braving ancient temple ruins and encountering hostile natives, they board a massive 40-foot-long, 17-ton expedition vehicle to navigate the increasingly foreboding terrain. The expedition vehicle for Skull Island: Reign of Kong measure over 40 feet long and 13 feet high, weighs in at 17 tons and carries up to 72 people. This all-terrain vehicle operates on a completely trackless system, which will be a Universal first. In addition, if the weather isn’t cooperating with the attraction, the vehicle has the option to bypass the outdoor portion and go straight into the ride building. 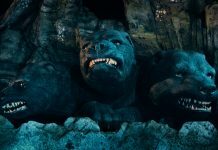 Once inside the temple, guests will encounter different creatures and eventually come face-to-face with King Kong himself. 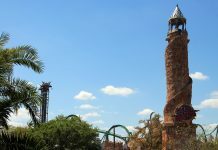 This marks the 2nd attraction based on the mighty Kong to be featured at Universal Orlando. 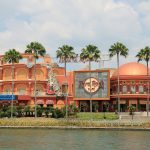 Before closing in 2002 to make way for the Revenge of the Mummy, Universal Studios Florida was home to “Kongfrontation!”. Taking place in New York, guests would board the Roosevelt Island Tramway to evacuate the city in hopes of escaping the devastation being caused by King Kong. Guests looking to see something similar to the old attraction may be disappointed. While the attraction does feature impressive animatronics, a majority of the action utilizes screen technology. That being said, we really enjoyed the new version of Kong. 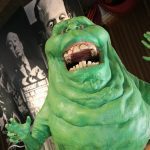 The animatronics that are featured are some of Universal’s best, with much praise going to the Witch AA in the queue – and of course King Kong himself. The queue itself is fantastic, worthy of being a walk-thru attraction on its own. 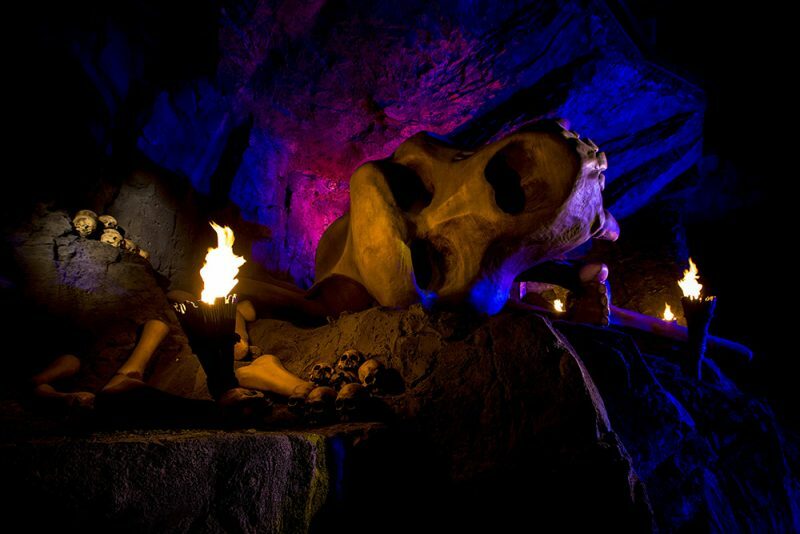 It definitely pushes some boundaries for a queue experience, as many of the features inside the temple are foreboding, and scare-actors are featured in the queue to spook guests. (Side note – This isn’t like a Halloween Horror Nights house – while there are scare-actors, they aren’t trying to go for the scare, but add to the ambiance of the queue.) The above-mentioned Witch in the queue is one of the stand-outs of the whole attraction. As the whole room is adorned with skulls, and excellently-done fire effect surrounding the Witch; chants reign down on guests with a heavy bass – especially during the ending of the Witch’s seance. When it comes to the ride, we have somewhat mixed emotions on it. There are a lot of pros, but some fairly big cons. The 360 room is one of the impressive uses of technology that we have seen, as you really feel like you are in the middle of the action. In addition, we also felt the extra effects (water sprays, smells, air, etc) were executed perfectly to help add an extra dimension to the “reality” of being caught in the middle. When a bug explodes, you feel it. When a dinosaur gets pummeled, you feel it. Kong’s breath…… you feel it. The finale features the King Kong animatronic and it is quite impressive and Universal’s best AA of the Resort; featuring really fluid facial movements that gives Kong some fantastic emotion as you drive past him. As far as the cons, the plot is kind of muddled. 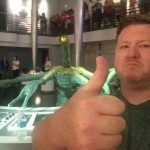 Without spoiling too much, one of the characters that is featured in the first couple of scenes becomes irrelevant during the main action sequence; making the journey a little pointless. It’s not until the end, where a haphazardly thrown-in “Oh, btw”, gives us the update on their status. 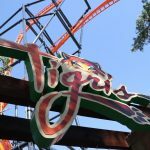 The ride also feels strangely short, even though the ride has the longest duration on property. There are 6 scenes in total, with a bulk of the time being spent in the main 360 room – so the other 5 scenes seem short in comparison, giving the illusion of a “quick ride”. The biggest issue is that not all seats offer a great viewing, especially at the front of the truck. Most of the action takes place dead center, so your neck is going to be twisting for a lot of the 360 portions. The prime position seems to be from Row 4 and back. 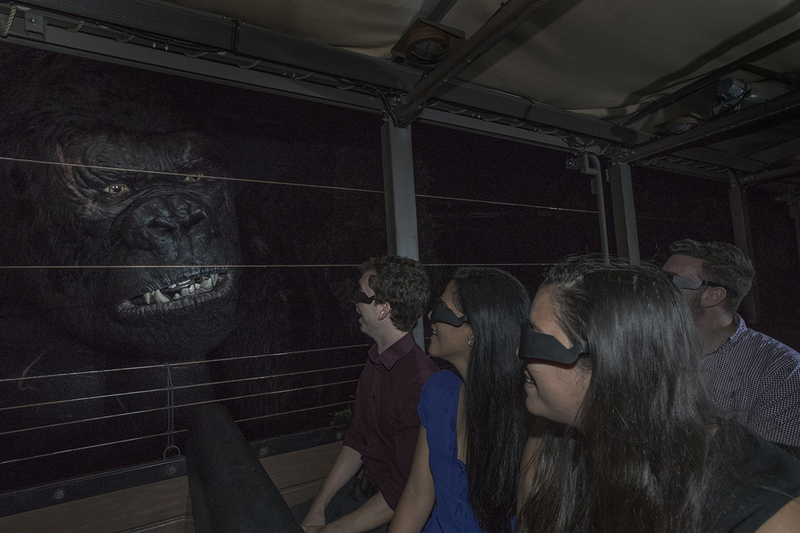 In addition, if you’re sitting on the left side of the truck – you’re not going to have the best view of the Kong animatronic. Regardless of those shortcomings, the ride is a worthy addition to the Universal line-up. Fans of Kong will be happy to see him back on his throne, while introducing new fans to the true King of the Resort. 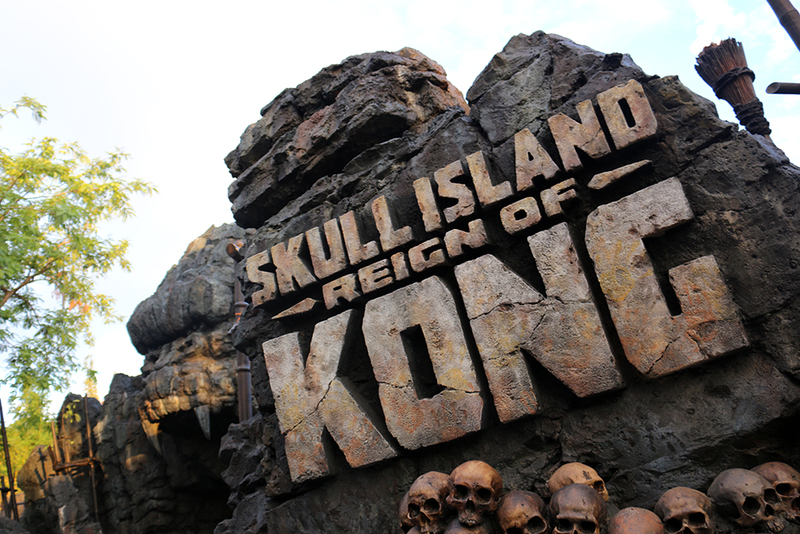 If you’ve ridden Skull Island and want to share YOUR review – head on over to our Forums and join the discussion! 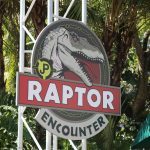 Check out the photos below, including some provided by Universal Orlando from today’s opening.